Franchisees, employees and suppliers from across the country all congregated last weekend at 5* resort – The Celtic Manor, for the much-anticipated Metro Rod conference and awards ceremony, sponsored by iTouch. This was the first of its kind under the ownership of Franchise Brands plc, and one which many have commented will ‘go down in history as the best ever’! 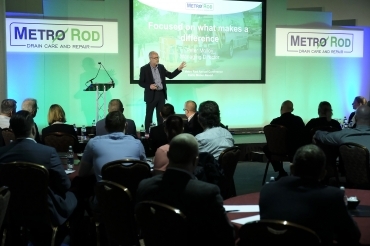 Peter Molloy, Metro Rod Managing Director, kicked off the presentations – unveiling some exciting new plans for the future and key changes in the way the business will be run going forward – with the over-riding theme being ‘Focused on what makes a difference’. Further presentations included a marketing update from Marketing Director, Robin Auld and Head of Marketing, Ella Pugh, who revealed some very impressive strategies for 2018, as well as sharing the updated branding they’ve been working on, not to mention the re-design of the vans, two of which were there for all to see and vote upon! Chief Information Officer, Colin Rees also took to the stage to share the plans for the substantial investment being made into restructuring the IT systems over the next few years, which will ensure Metro Rod can keep ahead of the game when it comes to providing a top-class service to its customers. Key industry suppliers took part in a fantastic vendor show, where they had chance to exhibit their wares throughout the day, and the franchisees had the opportunity to find out about the latest developments in the drainage industry! 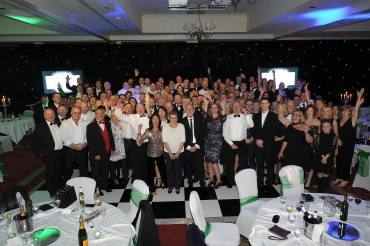 The celebrations continued on into the evening at an Awards Dinner, where top performing Metro Rod franchisees were recognised and rewarded for their achievements. 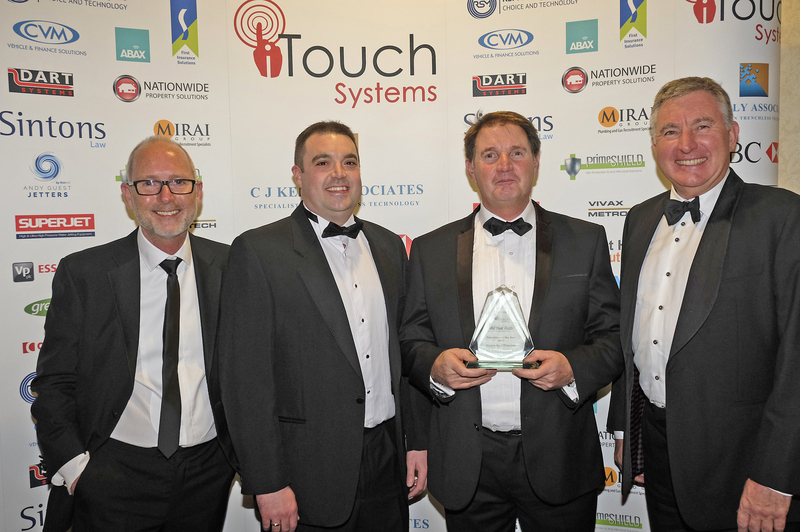 The highly-coveted ‘Franchisee of the Year 2017’ award went to Roy Dean of Metro Rod Deeside, who has been with the network since 2012. “Roy has always operated with the utmost professionalism and has achieved extremely strong results in all areas of his business. 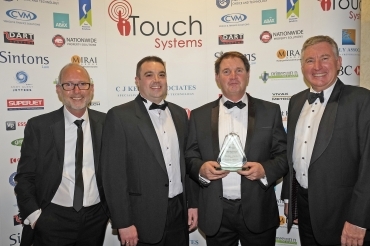 He and his team of over 10 employees are very worthy winners of this prestigious award – always putting the customer first in everything they do, so I’m thrilled to be able to recognise his achievements in this way!” comments Peter. A collection was also made in aid of Wateraid, raising a fantastic £1,500, which will go towards helping to provide clean water, toilets and good hygiene to the millions of people around the world in need of these basic but essential facilities. Last, but by no means least, came a fantastic presentation for Metro Rod founder Gillian Walker, who started the business over 30 years ago now, and is due to retire at the end of November. Not only were gifts given from the staff and franchisees, as well as a tribute from the bfa for her outstanding contribution to franchising, but a new plaque was also unveiled to honour everything Gill has given the business over the years, all rounded off by a standing ovation! Needless to say, there wasn’t a dry eye in the house! Attendees danced their way into the night and a fabulous time was had by all involved!